JONATHAN "JOHN" "JOHNNY" SHEFFIELD was born 1814 in Moore Co., NC, and died 20 May 1862 in Goldsboro, Wayne Co., NC. He married SARAH JANE "SALLIE" COMER Abt. 1837 in Moore Co., NC, daughter of JOHN COMER and MARY UNKNOWN. She was born Abt. 1812 in Moore Co., NC, and died Bet. 1860 - 1870.
i. MARTHA SHEFFIELD, b. Abt. 1838, Moore Co., NC; d. Bef. 1870; m. (1) WILLIAM GORDON; b. 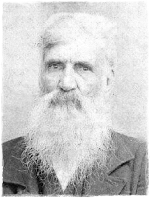 17 Sep 1831, Wake Co., NC; m. (2) JAMES BECK, SR., 24 May 1857, Moore County, NC; b. 1837.
ii. MARY "POLLY" SHEFFIELD, b. Abt. 1840, Moore Co., NC; m. ISAAC SHEFFIELD, 26 Mar 1857, Moore County, NC by William Brewer, JP; b. Abt. 1836, Moore Co., NC; d. Bef. 1870.
iii. DELIAH SHEFFIELD, b. Abt. 1843, Moore Co., NC; m. LEWIS MANESS, JR..
iv. LYDIA SHEFFIELD, b. Abt. 1844, Moore Co., NC. v. HANNAH SHEFFIELD, b. Abt. 1845, Moore Co., NC. vi. SAMUEL SHEFFIELD, b. Abt. 1846, Moore Co., NC. vii. REBECCA L. SHEFFIELD, b. 18 Jan 1847, Moore Co., NC; d. 18 May 1919, Moore Co., NC. viii. ELIZABETH SHEFFIELD, b. Abt. 1848, Moore Co., NC. ix. MARTITIA JANE "MARTISHA" SHEFFIELD, b. 28 Oct 1849, Moore Co., NC; d. 26 Dec 1941, Moore Co., NC. x. WILLIAM SHEFFIELD, b. Abt. 1853, Moore Co., NC. xi. JOHN R. SHEFFIELD, b. Aug 1855, Moore Co., NC; m. (1) ALICE L. UNKNOWN, Abt. 1874; b. 1854; m. (2) SARAH ANN UNKNOWN, Abt. 1882; b. Oct 1853, NC.